If you are a dog owner like me, you know the heart-breaking sad look your pup gives you when you are about to leave him home alone. Luckily, San Diego is a city that loves our furry friends and offers many dog friendly places to enjoy the city. 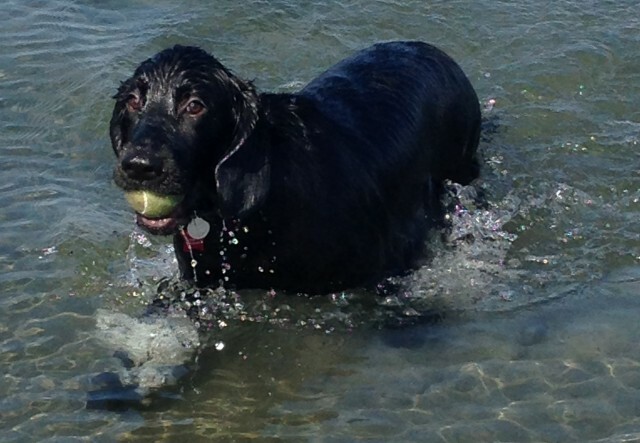 Among those you can find many great dog beaches to play on the sand and swim in the ocean. 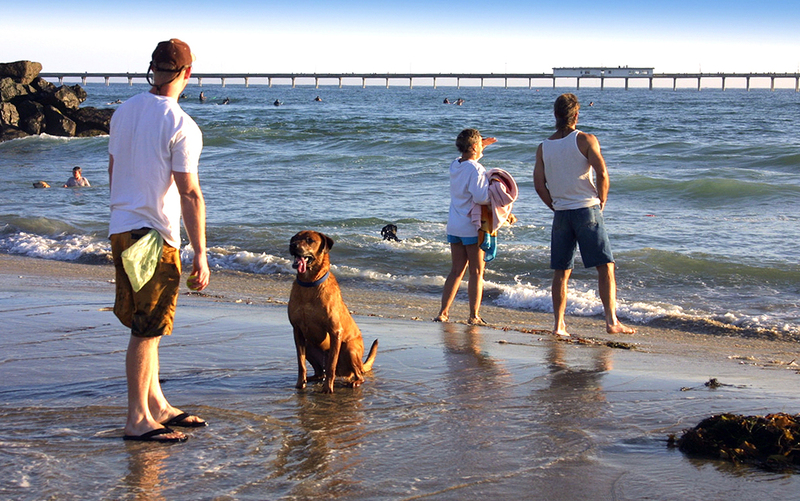 Located in laidback community of Ocean Beach, you can find the Original Dog Beach. This is the mother of all dog beaches, considered one of the first official leash-free beaches in the United States. Frequented by surfers and boogie boarders, this popular dog beach offers free parking, nearby restrooms, showers and a dual-level drinking fountain for canines and humans. The dog beach area is not only easy to find, but it’s set between a marina and jetty, which prevents adventuresome dogs from sprinting into the sunset. You can find shallow waters, ideal for smaller pups, and sturdier waves, for intrepid ones. If your dog loves mingling with other pooches, playing with the waves, then this is the place to go. Just a few miles north from the legendary Hotel del Coronado and adjacent to the Naval Air Station, Coronado North Beach is a little piece of doggie paradise. This white sandy dog beach offers strong waves, nearby amenities and a beautiful view. Driving there will give you and your companion the opportunity to dribble at the sight of Coronado’s elegant homes and mansions. Parking is off-street and might be difficult to find during weekends, so unless you get there early or in the evening you might have to walk a couple of blocks. Be ready to bump into many happy wet noses, this is definitely the perfect place if your dog likes to socialize and you don’t mind being randomly greeted by curious pups. A few of the perks that I personally enjoy are the nearby bathrooms, free dog littler bags and showers for canines. If your four-legged friend prefers calmer waters and less crowded areas, this is the place for you. Located in Mission Bay, facing SeaWorld, Fiesta Island is home to the San Diego Youth Aquatic Center and a popular location for recreational water sports. Driving towards the end of the island, recognizable by the fenced area, you will find Dog Run. This is one of San Diego’s largest off-leash areas for dogs with lots of greenery areas, very calm waters and plenty of sand. There are no restrooms available, except for the occasional scattered port-a -potties. Visiting the island you will encounter many families that spend the whole day there either camping or on their jet skis. 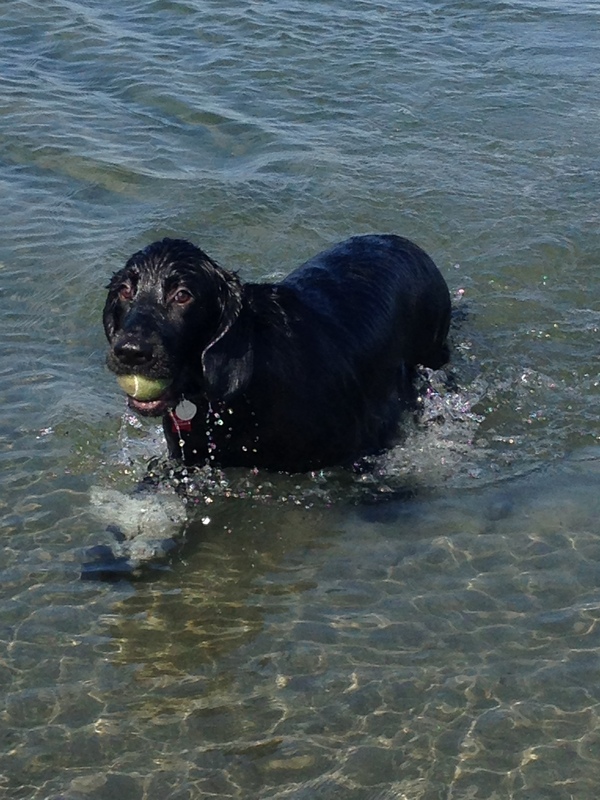 The dog area is calmer, bliss for the doggies who love to swim and play fletch. North Beach, affectionately called Dog Beach, is the middle point between stunning million dollar houses and the Pacific Coastline. The off-leash season is September 15 through June 15, otherwise leashes are required. You can find the dog beach area on the border of Del Mar and Solana Beach, adjacent to the Del Mar Fairgrounds. Parking might be challenging, since most parking spots are metered, so make sure to bring plenty of change if you don’t want to get a ticket. Free parking can be found south of the river, but that area can get crowded on the weekends. Just like in Fiesta Island, port-a-potties are provided along the beach area. When the tides are low, Fido or Fifí can find plenty of room to run about. One of the pluses is the beautiful scenery, which you can enjoy while your pal splashes along the water chasing the waves. This entry was posted in Outdoor Adventures by Edna Gutierrez. Bookmark the permalink. I love the blog. Thanks for the tips!